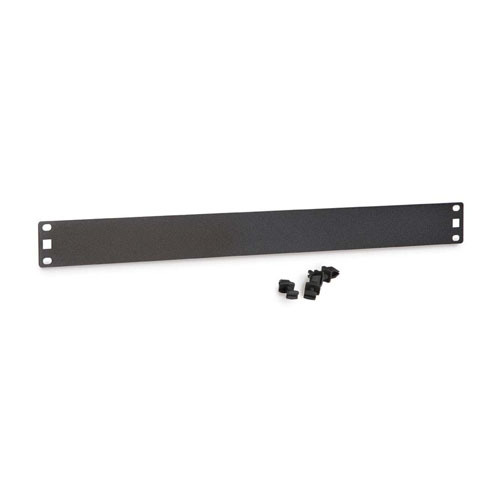 Universal/Tool-less Mounting: The panel features oblong mounting holes that are compatible with any standard rack hardware. However, the included tool-less clips make installation a breeze with any universal cage nut style rail. Rounded Corners: The rounded corners and durable powder coat finish provide a smooth edge for safe handling and installation. Proper Airflow: Using spacer blanks to fill the gaps and openings throughout your rack installation is especially important when thermal management is a concern. Not only will the filler panels prevent unwanted debris, such as dust, from getting in, but it will also prevent hot air from being recirculated into your equipment. Professional Look: Installing rack panels in the unused rack mount spaces (RMS) gives your overall installation a clean and organized appearance.